Aunt Barbara's new gnome turns out to be more than just an ornament: it's a spy. Barney buys Nev a plant, which Nev feeds excessively, with disastrous consequences. Mr Prank buys a cow to give him the freshest milk for his ice cream. Nev uses his hypnotism skills when he is accused of stealing Mr Prank's brand new mobile. 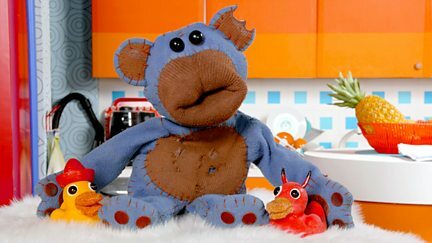 Crazy Keith the koala is cursed to turn into a hairy, scary, shoe-eating monster. 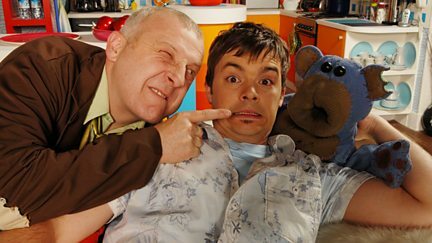 Barney goes to Egypt and Prank moves in to look after Nev.
Nev accidentally hurts Prank and faces paying the medical bill. Neville grows his first tooth and panics when it looks like a scary fang. Chops, the dog who lives in Aunt Barbara's handbag, emerges as the world's cutest pooch. Mr Prank experiments with unusual ingredients for his new ice cream flavour. Aunt Barbara's smoothie party is a disaster, thanks to Angry Pants and Nev.
Postie sprains her ankle, so Nev takes over her rounds - wearing the wrong glasses. Barney and Nev's camping trip is put on hold, so Nev decides to camp alone at home. Nev and Crazy Keith are on a quest to free the magical, wintry land of Nevia. A freak turn of events transports Nev back to Victorian times. Can he escape Angry Pants? Barney eats Crazy Keith's spaghetti bolognese and promptly turns into a frog. Prank enters an art competition, but Nev's painting is accidentally entered too. Nev borrows Aunt Barbara's old TV, but does not bargain for it having special powers. When Barney's rent money goes missing, Nev and Keith do some undercover detective work. Nev and Crazy Keith become an instant internet hit after composing the Jibadeah Rap. Prank accidentally drinks love potion and falls in love with his arch-nemesis, Nev.
Aunt Barbara tasks her niece Melanie with making jam, with disastrous consequences. 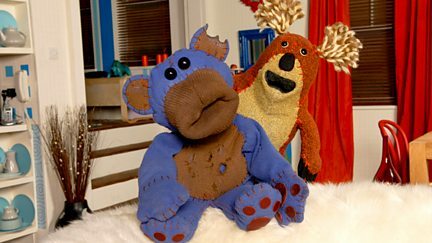 Nev and Keith discover a 'prehysterical' blue bearasaurus frozen in time. Nev and Mr Prank are swallowed up by a beanbag and emerge with their bodies swapped over. Postie declares her lottery win, and greedy Angry Pants asks her to marry him. A special episode celebrating Red Nose Day with a guest appearance from Jason Donovan.